LAW OFFICE OF DAVID B. SMITHERMAN, P.A. I was born in Winston Salem, North Carolina in 1956. I moved to Clearwater, Florida in 1961 as a child with my family and have resided in Clearwater since that time. I graduated from St. Petersburg College (formerly St. Petersburg Junior College) in 1976, received my Bachelor of Liberal Arts degree from the University of South Florida in 1978 and was awarded my law degree from Stetson University College of Law in Gulfport, Florida in 1981. I have been licensed to practice as an attorney and counselor at law by the Florida Supreme Court before all Courts of the State of Florida since 1982. I am a member of the Clearwater Bar Association, The Florida Bar, the Elder Law, Family Law and Probate and Real Property Practice Sections of the Clearwater Bar Association and the Family Law Practice Section of the Florida Bar. 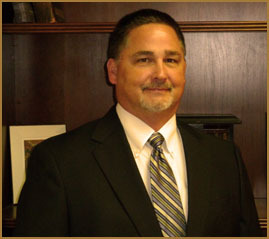 After graduating from law school I practiced as a partner for nearly 28 years with a local Clearwater firm. I opened my solo practice, David B. Smitherman, P.A. in 2009. I have been married to my wife, Priscilla, for 32 years, and we have 3 children, Jeff, Kendal and Haven. In my time outside of the office I enjoy spending time with my family, camping, kayaking and swimming. Courtney L. Richards has been working with me in my office since 2007. Currently Courtney serves as both my office administrator and legal assistant. Courtney is responsible for the day to day administration of the office including client intake and relations, file maintenance and organization, preparation of legal documents, pleadings and correspondence, office bookkeeping and accounting, and coordinating many other aspects of my law practice. Courtney has worked in the legal profession since 2002.